Maps serve as organizing guides for entrepreneurs, organizations or government leaders navigating unfamiliar social, economic and environmental situations. Maps help businesses easily communicate complex approaches to strategic thinking and provide starting points for new conversations to explore collaboration opportunities. Concept -- a plan, or intention; a conception. Perspective -- the state of being, or process of becoming aware of something in such a way. Guide -- a book, document, or display providing information on a subject, or about a place. Instruction -- detailed information telling how something should be done, operated, or assembled. Strategy -- a plan of action or policy designed to achieve a major or overall aim. Discipline -- activity or experience that provides mental or physical training. Process -- a series of actions or steps taken in order to achieve a particular end. Maps are powerful tools to visualize value in open systems and inform social process. 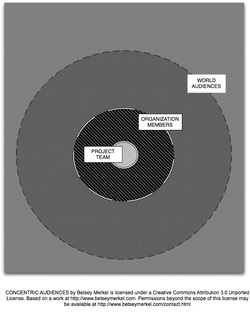 The maps published below are of actual experiences building social networks, developing collaborative technologies, design process for social media knowledge curation, and observing shifts in emerging network economies. Map titles are located at the base of each map. Please check my Blog for descriptive posts.